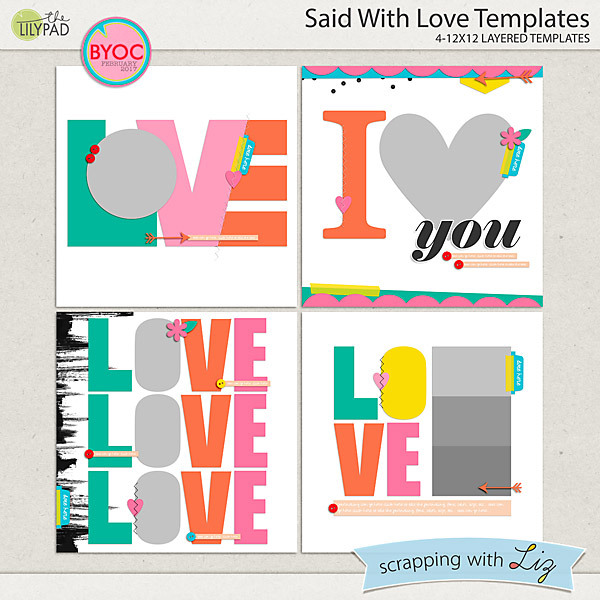 Liz's February BYOC products are really fun with lots of hearts and some typographic designs with the word "Love." 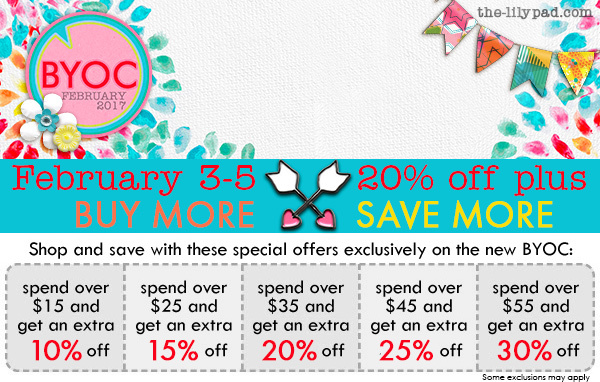 They are on sale through February 5, 2017, with a minimum 20% discount. 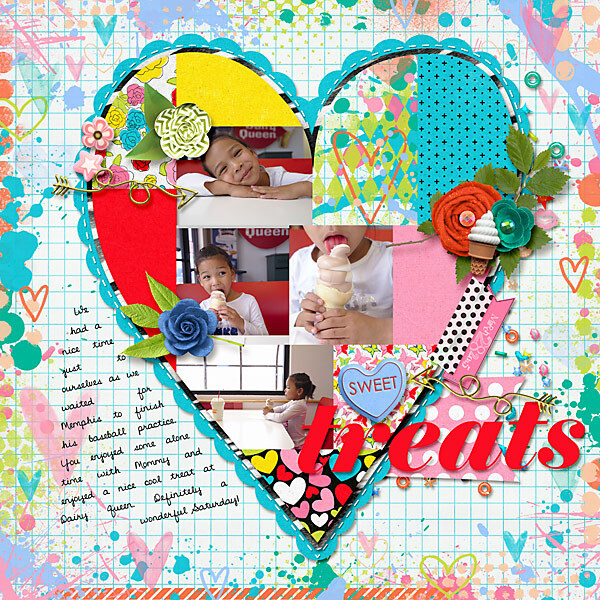 Ophie used a multi-photo design from Hearts Galore Templates 2, using photos and papers in the clipping masks. 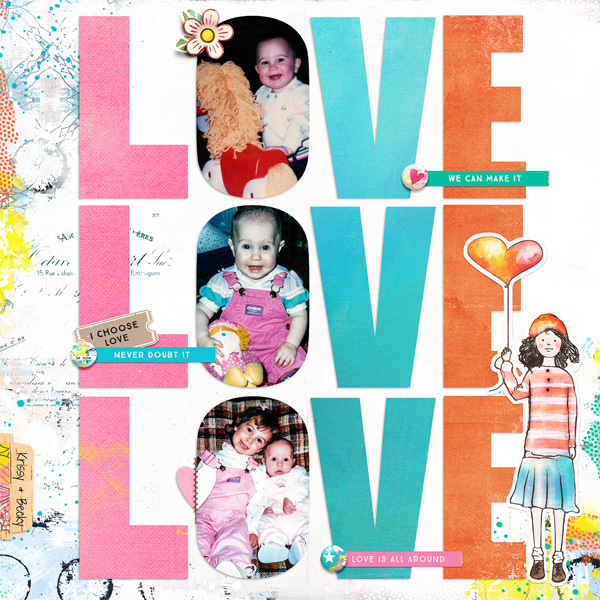 Donna scrapped her daughters with Said With Love Templates. 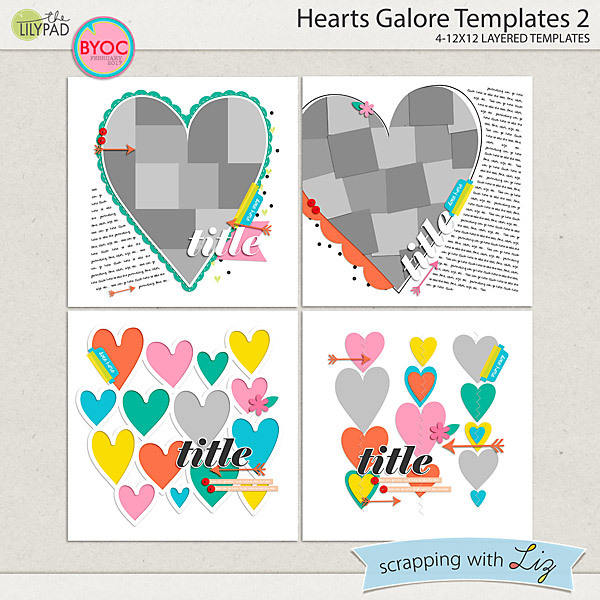 3 Template Packs - 50% TODAY ONLY! Month of Challenges - I finished!